An AH-64 Apache helicopter flies over Vaziani Training Area, Georgia, during a combined live-fire exercise. Credit: Sgt Kris Bonet. The US Defense Logistics Agency (DLA) has awarded a contract to Triumph Integrated Systems for the supply of enhanced digital electronic control units (EDECUs). The latest contract will support the upgrade of the digital electronic control units on the army’s fleets. These EDECUs will be installed in the US Army’s UH-60 Black Hawk and AH-64 Apache helicopter fleets to provide additional engine control capability. Valued at more than $77m, the indefinite-delivery indefinite-quantity contract has a five year performance period. 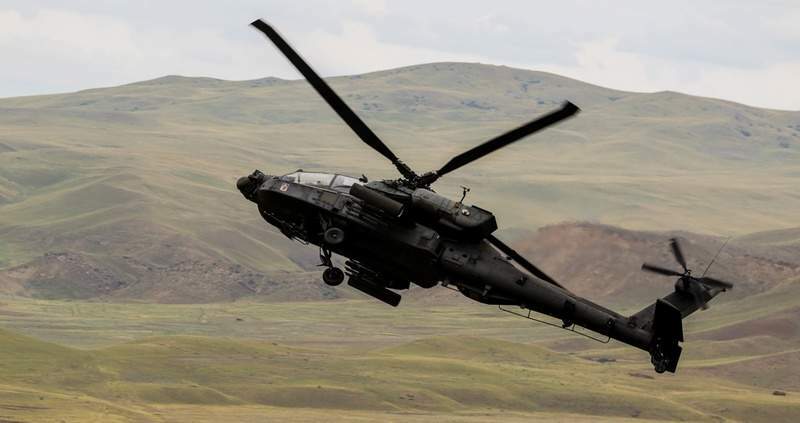 Triumph Integrated Systems executive vice-president Frank Dubey said: “We are pleased that the Defense Logistics Agency has extended the agreement with us and that our EDECU will be installed on the US Army’s entire fleet of Black Hawk and Apache helicopters. Work under the contract will be carried out by Triumph’s engine and control business based in West Hartford, Connecticut. Around 3,100 EDECUs will be produced to satisfy the contract. In 2013, Triumph received the logistics contract for the digital electronic control units’ replacement. So far, more than 6,000 EDECUs have been delivered by the company for Apache, Black Hawk, Jayhawk and Seahawk aircraft used by the US Army, US Navy and US Coast Guard. The US Army’s AH-64 Apache is a multi-role combat helicopter developed by Boeing and the UH-60 Black Hawk is a medium-lift utility helicopter for troop carrier and logistical support.